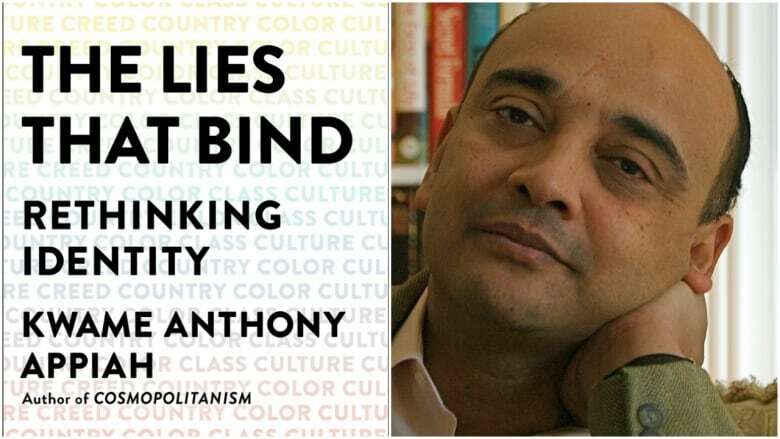 Philosopher Kwame Anthony Appiah speaks with Michael Enright about the falsehoods and contradictions that prevent us from understanding who we really are, and how we can best live together. His book is called The Lies That Bind: Rethinking Identity. Talk of identity has exploded in recent years but, argues philosopher Kwame Anthony Appiah, much of what we believe about identity is wrong. In his new book, The Lies That Bind, Appiah asserts that religious identity is not actually about belief; that the way we think about race is still shaped by debunked science from the 19th century; that the concept of national sovereignty is fundamentally unstable; that the very idea of Western civilization is a myth; and that class still divides us in ways we fail to see. Born in England, raised in Ghana and currently based in the United States, where he teaches philosophy and law at New York University, Appiah is considered one of the world's leading thinkers on identity. He spoke to The Sunday Edition's host Michael Enright about the falsehoods and contradictions that prevent us from understanding who we are, and how we can live together. You examined five kinds of identities: race, religion, class, nationality and culture. I want to start with race. What is it? Is there such a thing as race? I know what people are thinking, very generally, when they think of people as belonging to racial groups. They are thinking that the world is divided into a small number of groups, that they differ in some important biological way, and that those biological differences explain other differences about them. The reason why people speak English around the world today has nothing to do with their biology. The reason why people are Anglicans or Catholics or Jews today has nothing to do with biology, and so on. Nevertheless, people do have this idea that the world is divided roughly into white, black, red, yellow, brown people, and that these are biologically significant distinctions, and those distinctions correspond to other distinctions we should care about. That's the thing that I think is a mistake. Racial categories aren't just imposed on people. They are also things that people claim for themselves. Is that a bad thing? I think it depends on what they do with them. I'm not against identities, as such. I'm against bad uses of identities. So if people use racial identities, say, for racist purposes, I'd say that was a bad thing. If people used racial identities, as they have in many places in the world in the last century or so, to organize in resistance to empires, I'm not sure that's a bad thing at all. [But even when it's a good thing] it will continue to be true, in my view, there are mistakes involved — that the racial identities don't work the way people think they do. Around the world, we've seen a resurgence of hard nationalism [and allegiance to national identity]. Why do you think that is? It's very appealing for political leaders to try to bring people together with a sense that they are already a people of shared culture and traditions. Especially if they can get them to feel that there's a world outside that is bearing down on them — a world of hostile others. People can use that to create political power for themselves. But look, Canada is a very big place, and it's got a lot of people in it ... and you have to work together. One of the positive tools you have for making it work is loyalty to Canada. That allows you to commit Canadian troops to peacekeeping. It allows you to build a social welfare system across your country. There's a positive kind of attachment to nation, and what we have to ask political leaders to do is to use it responsibly. You write: "I think you should give up the very idea of Western civilization. It's at best the source of a great deal of confusion, at worst an obstacle to facing some of the great political challenges of our time." What do you mean by that? This way of talking about Western culture, Western civilization is about 100 years old. If it were true that there had always been something that bound together the civilizations of Athens, Rome, Paris, London, Berlin and Madrid and also of Eastern Europe ... it would have shown up earlier. [One thing wrong with it] is the idea that what holds, say, Europeans together is Plato or Aristotle or Thomas Aquinas. People are held together not by that kind of philosophical high culture [but] by everyday practices that allow them to live together …. While I'm a great believer in the study of Plato and Aristotle, the idea that they are at the core of what defines people of European ancestry just strikes me as sort of dotty. If you are interested, as I am, in these intellectual traditions, you have to acknowledge that there is a very tight connection between the intellectual traditions of Islam and the intellectual intellectual traditions of Christianity. So if you want to say it's the West versus Islam, you're going to have to deal with the fact that Islam has the same sort of relationship to Aristotle as St. Thomas Aquinas. Some of the great scholars of Aristotle and Plato were in Baghdad. So I think it isn't going to help us in thinking about the relations between Muslims and non-Muslims, which is a serious question in many places, to think that on the one side there is this homogeneous Muslim culture, and on the other side there is this homogeneous Western culture, and that they are inevitably bound to conflict. I want talk to about class, because you argue in the book that we overstate the similarities between people of the same nation or race, but we underestimate the way that class groups us together. Why do we struggle with these class divisions? It's important to recognize just how much of a residual, and in fact newly created, class system there is. The Ivy League, the top universities on the East Coast of United States, takes say more people from the top 1 percent of the income distribution than it does from the bottom 60 percent. I don't care what you think about the relationship between money and intelligence. That cannot be right. It cannot be the case that all the smart people happen to have very rich parents. I think one of the things that covers over these class divisions in our society is that we're being taught to think that we're now meritocratic — that the reason some people are richer is that they're working harder or cleverer than the people who aren't. That's not true either. And worse, if it were true ... it wouldn't be okay to have contempt for the people who are not doing it right. The word aristocracy means ruled by the best. So when people had an aristocracy they were claiming to be the best people. And it's not true that the people who run the world today are the best people. The thing that distinguishes them mostly is that they've been very lucky. We've got to realise that measuring people's worth in terms of money, which is what we're inclined to do, is a terrible moral mistake. You've argued that identities can be "the enemies of human solidarity." That being the case, should we stop talking about it altogether? Should we get rid of the categories? I think we can't get rid of them. I've been talking about the problems with them, but as I said in relation to the nation, they can be useful. If we're going to stop them doing the bad things, then I think one thing we can do is hold them with a lighter touch. Remember when you're dealing with somebody [and] you're focusing on the fact that you don't share an identity with them, that you share lots of things with them as well. In the end ... we're all human. Could that bring us closer together, rather than rather apart? A lot of the conflicts in the world are about real resources — land, water and money. One of the things people use identities for is to create groups with which they can struggle over those things. They're going to do that in a negative way, especially when they feel that land is short, or water is short, or money is short. So one thing that will help us all to live together is … to try to make sure that everybody on the planet has a decent amount of land and water and food. This Q&A has been condensed for length and clarity. To hear the full interview, click 'listen' above.